Stevens Boatworks is a traditional boatyard and marina in the historic village of Chester on Nova Scotia’s South Shore. Committed to excellence in boat construction and maintenance, our yard utilizes time-honored workmanship in building and restoring strong, seaworthy vessels. 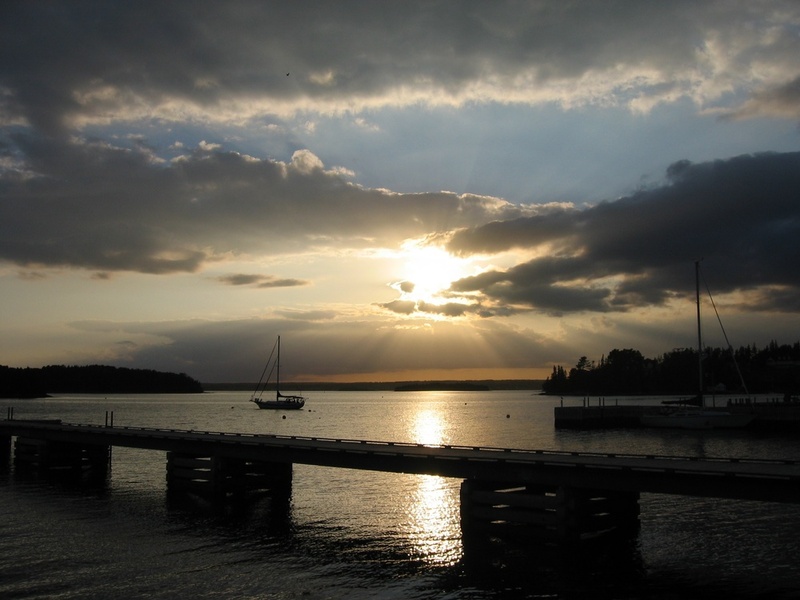 Our marina offers safe, secure slips and moorings, and indoor or outdoor winter storage. We build lasting relationships with our customers and are committed to upholding a legacy dating back to the end of the Second World War. The yard traces its history back five generations to Tancook Island, off Nova Scotia’s South Shore. There, in the late 1800’s, Amos Stevens became known for developing the famous inshore fishing schooner, the Tancook Whaler. In 1945, Amos’s grandson, Captain Gerald Stevens (known as “GL”), returned from the war and joined his father and grandfather building boats and yachts at Chester Sea Craft, a boatyard located at our present site. The buildings were destroyed by fire in 1972 and the whole complex was rebuilt by the local community. Dozens of boats large and small were launched from this yard before the end of the last century. Some were designed by G.L. and others by such well-regarded designers as Howard Chapelle, Sparkman Stevens and Francis Herreshoff. More recently, the renewed interest in the William Roue-designed wooden Bluenose sloops led to Stevens Boatworks building a number of these beautiful, sporty boats. Following the purchase of the yard by the Trond Grenager in 2000, the facilities were upgraded to create a modern full-service boat yard. Our marina was expanded and modernized, our facility buildings updated, our marine railway rebuilt, and a marine engine service and repair shop added. Most of our staff was raised along Nova Scotia's South Shore and is part of its rich tradition of building boats for work and pleasure. Everyone has his own story to tell about the many boats and seafarers he has known. Today, the members of our team are more committed than ever to the wooden boat tradition. With fewer and fewer yards capable of handling serious shipwright jobs, we all take great pride in being able to offer this time-honored service to the boating community.